(false) Patriotism is the last refuge of a scoundrel. Is preying on a military family’s post-service vulnerability the sign of insincerity per se? Come join a network that has pioneered and led the industry for 30 years. 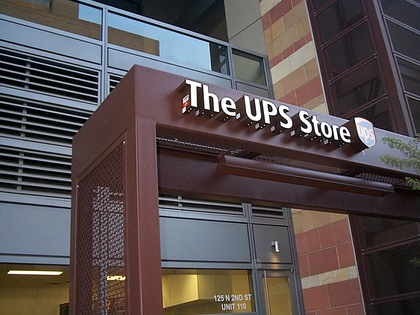 The UPS Store is the #1 Business and Postal Services Franchise for the 20th consecutive year (2010 Entrepreneur Magazine’s Top 500 Franchise List). The UPS Store is the #1 most popular franchise with veterans in the IFA’s Vet-Fran Program (2008 International Franchise Association). With over 4300 The UPS Store and Mail Boxes Etc. locations nationwide, our network continues to lead the market. vulnerable to the authority siren song from 2 directions: vivid, personal success born from supporting a strict command-control structure while lacking the airy-fairy concept of discerning legitimate from illegitimate sources of authority. Vets believe very strongly that people get what they deserve in this life (Just World fallacy) and would, therefore, strongly but heavily discount any non-authority based advice on a pre-sale basis. Going on “civvy street” is one of life’s major transitions involving new/strange: work, employer, location, one/two incomes, schools, income levels, physical/mental challenges, diminished family/friend support. Setting the Hook: The next marketing stage is an “exclusive” invitation to a very sophisticated, one-day seminar at head office (a “discovery day”). Just like in a gambling casino, these environments are very, very well thought-out, for one side’s benefit only. A real investigative journalist (John Lorinc) published an excellent description of this circus in a real media outlet (The Globe and Mail) in 2000. The Sure Thing describes the extremely effective individual and social psychology that allows predatory franchising to flourish in plain sight. I’m glad to know great spirits like Peter Thomas or Carol Cross who, by making wise choices for their future, help me make mine.